Dogs love playing and this is why it is important to choose the best toys for them. With the right toys, you do not only help your dogs have fun, but also enhance your relationship with your pet and its overall well being. As you are choosing the toys, there are certain things you need to consider. To help you in this process, here are some tips on how to choose the best toys for dogs. When looking for toys, you have to put in mind the age and behavior of your dogs. This is important because there are toys that are appropriate for dogs of different ages. If you want to buy toys for a young dog, those with a soft rubber or snugly fabric will be a great fit. In case you are selecting toys for a dog that is three to nine months, avoid those with hard rubber because he/she is still teething. In addition, you’ll need to buy several of them because he/she will be chewing anything it comes across. Also, this can distract him/her from chewing your personal items. For your older dogs, you can go for harder rubber toys because he/she has strong jaws and teeth. There are a lot of options, so all you need to do is to match the toy you are buying with the chewing habits and age of your dog. You should consider the size of your dog. 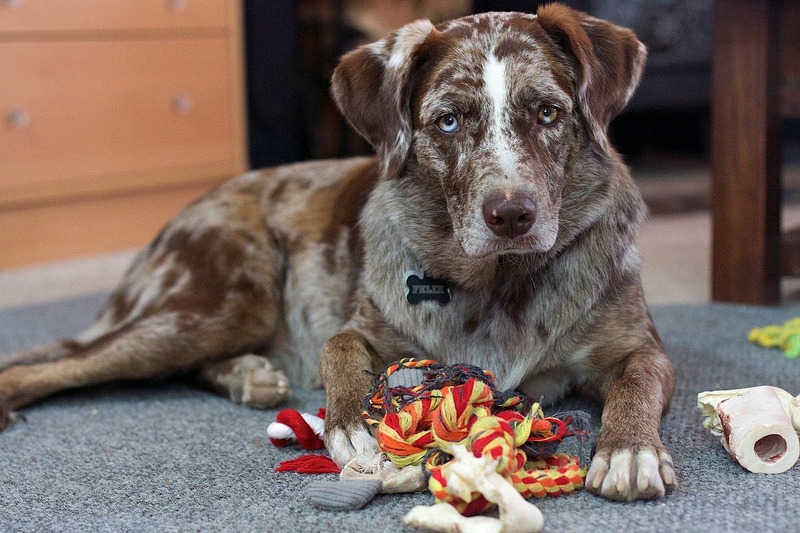 You’ll want to buy toys with the right size and texture regardless the breed of your dog. 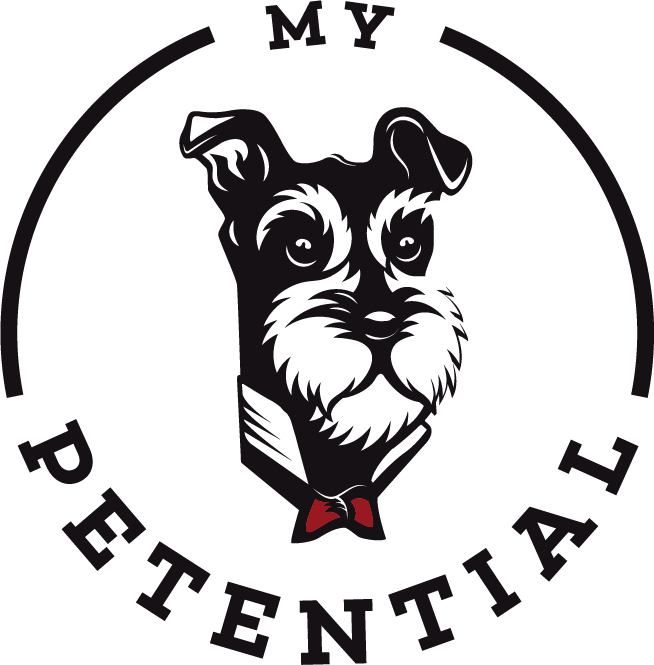 For instance, a large German Shepherd will chew with aggressiveness just like the petite Yorkshire Terrier. However, you shouldn’t buy the same toy for them. If you have a small dog, you shouldn’t select toys that can get clenched in a small jaw. Also, avoid those that are too soft because they can break and get ingested or chocked. The size of the toys is also vital. Those that are too small can be chewed very easily. The rule here is to choose toys that cannot fit behind your dog’s molars to avoid chocking. Dog toys should not be hazardous; this is why you need to choose the safest. Those made from metal and plastic can be dangerous for your dog to chew. This is because they contain some elements or compounds that can cause health problems or injuries to your dog. With plastic toys you also run the risk of small pieces being chewed off. If swallowed these pieces could cause potential harm to your dog. 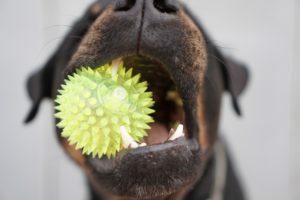 Choose those that are soft and large enough to the extent that it is not possible for your dog to ingest when playing. Avoid those with sharp edges or pieces that can cause injuries. Dogs can be rough with their toys because they will chew, claw and drag it all over the house as they have fun. Therefore, as you look for the best toys for your dog, choose those designed with friendly and safe rubber and sturdy fabric. Look for those with labels showing they are friendly to your dog before buying. Know your dog’s chewing habits and toy life cycle. What durable toy to buy really depends on the level of roughness your dog plays with its toys. To ensure you get the right toys, always look for the most reputable shop. Ask for referrals from other people or do online research to find the best store in your area. Always read reviews! Well written article! One suggestion I have is to add examples, specially if you have your own pets, you should take pictures of the toys you have bought for them! It would definitely give assurance to people looking for safe toys to know that others have bought them as well. Great suggestions! Thanks for sharing Cesar! I have a pug who’s 12 years old now. Even as a senior citizen in the dog world, he still likes to play fetch. I have bought him many toys through the years but he has only 1 or 2 favorites. I noticed his favorite toys are those that are light and could fit into his mouth so that he can carry them around. Long time ago, Ikea used to sell these stuffed teddy bears which were very durable and could withstand the chewing and shaking. My dog loved it so much. To bad they don’t sell these bears anymore. Nice. Thanks for sharing Alex. He sounds like a great dog. What are your thoughts on the line of toys called Kongs? I’ve heard they are incredibly durable and that you can easily stick treats inside them to entice a dog to play with them for hours. I have seen them around for adult dogs in particular. Someone even told me you can stick some peanut butter inside them and your dog will immediately fall in love with the toy. Hi Craig. Kong does have some good toys. However, some of them are not as durable as others. It’s important to know which toy should be the most durable to your pets. Great post! I’ve got a little jack Russell myself and she literally tears through everything. It did take a few tries to find out what toys suited her best, again its a great point with the right size toy for the right dog because I can imagine the toys that my dog has, if a German sherpard had the same, they would definately choke! I agree. Thanks for sharing Kourtney! You have some very good suggestions on type, size, and hardness so the toy is a good fit for your best friend. Toys are a very important part of his well-being as well as his learning. I remember my dogs loved my house slippers more than I did. The leather and soft rubber soles must have been great to chew on. I had a Great Pyrenees dog back in high school. He lived outside. Every year when it snowed I would see my dog put his front feet in his water bowl and push himself all around the back yard. He enjoyed sliding on the snow as much as we did! Haha that’s funny. Thanks for sharing Kenneth!